The Salvation Army was founded in London by the Reverend William Booth in 1865 and was originally known as the Christian Mission. The prime mission of its founder, the Reverend William Booth, was to preach Christianity to those who were not being reached by the established churches. 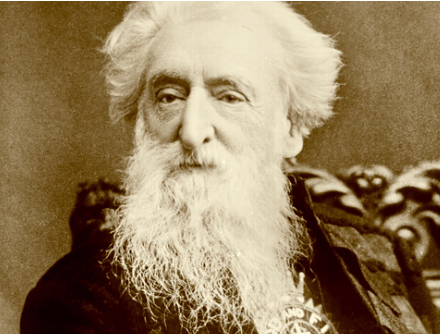 However, William Booth was a realist and recognized that, in addition to spiritual rebirth, the people to whom his ministry was directed also needed physical, emotional and social restoration and material assistance. To meet these dual needs he developed a balanced ministry that combined a program of practical assistance and counseling with spiritual nurturing in an effort to achieve the spiritual, moral and physical reformation and reclamation of the under privileged. William and Catherine Booth believed that acceptance of the Christian faith would bring marked improvement in the convert’s life. Practical and cost-effective programs for the social betterment of the poor and poor in spirit, have always been integral parts of the Army’s message. The Salvation Army adopted a quasi-military organization with uniforms, flags, ranks and terminology that reflected both the recurrent scriptural theme of the Christian church engaged in spiritual warfare and the military structure that was a visible presence in every 19th century European country. In 1878 the name of “The Salvation Army” was brought into use. Salvationists find their motivation in Christian concern, derive their spiritual strength from worship of the Divine, and express their faith through a unique combination of religious and social activity. Its mission is to preach the Gospel of Jesus Christ and meet the basic human needs of all persons in need who come within its sphere of influences, is still as vital today as it was in England nearly 140 years ago. The Salvation Army serves all people regardless of race, disability, sexual orientation, gender identity, age or religion. The Salvation Army Ottawa Booth Centre Men’s Hostel, named for the founder William Booth, was formerly known as the Metropole and Salvage Depot, which was first, established on April 5th, 1908 at the corner of Wellington and George St.
On October 13th 1948 the Ottawa Booth Centre was inaugurated at 171 George St. where it still remains today. The Addiction Treatment Program, now called the Anchorage Program, once occupied the fourth floor of the hostel. In 1989 it was moved to its new location at 175 George St. (right next door).